WOW HI It's been a while! I just stumbled across this mini comic that I did almost exactly a year ago and didn't really post anywhere except tumblr. 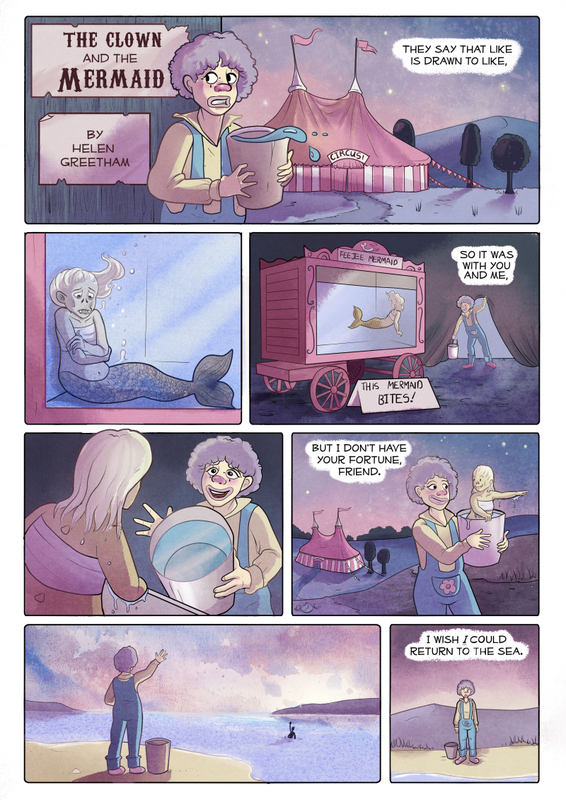 This is seemed a logical place to put it, although it's not autobiographical (I am not a clown and I've never befriended a mermaid... that I know of). Honestly I'm thinking that Marginaila will probably evolve into short stories of all kinds, things from my life and random bits and bobs. Aww really?! I guess I'll take that as a good thing!